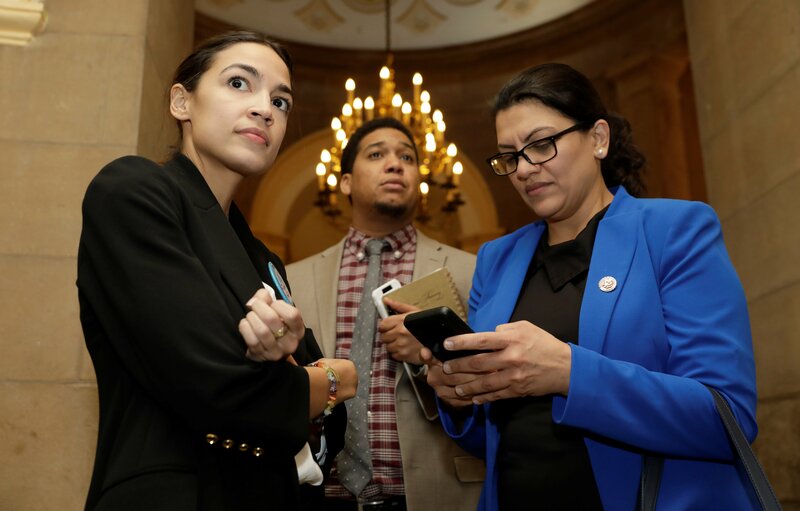 U.S. Reps. Alexandria Ocasio-Cortez (D-NY) (L) and Rashida Tlaib (D-MI) (R) talk as they accompany other freshmen House Democrats to Senate Majority Leader Mitch McConnell’s office to deliver a letter “urging him to end the shutdown” on Capitol Hill in Washington, U.S., January 16, 2019. REUTERS/Yuri Gripas. 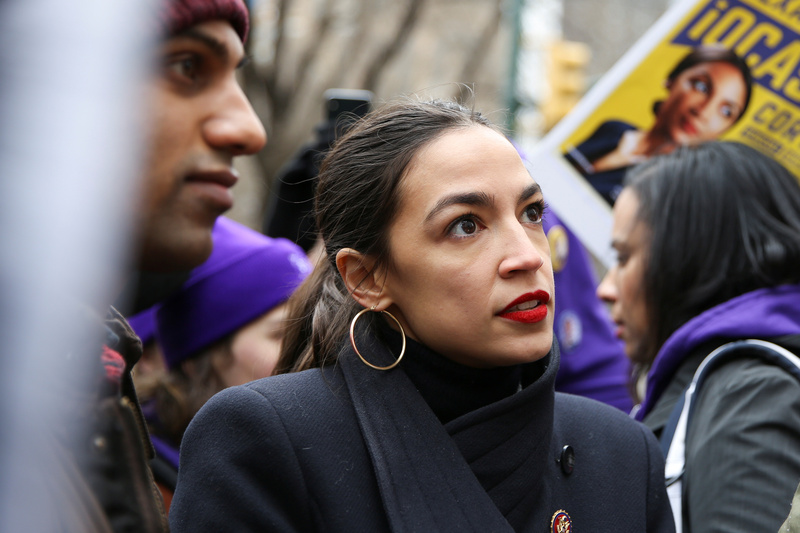 Rep. Alexandria Ocasio-Cortez (D-NY) speaks during a march organised by the Women’s March Alliance in the Manhattan borough of New York City, U.S., January 19, 2019. REUTERS/Caitlin Ochs.